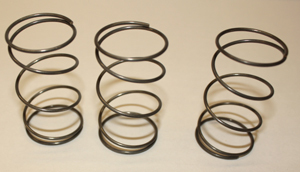 Rocker Assembly Springs $ 2.00 ea. Hot Heads Research & Racing now has street hydraulic and solid roller cams for Chrysler that work with the stock length valves! Hydraulic and solid roller lifters are available to match. We even have hydraulic and solid lifters for Dodge and DeSoto for those who have scored a vintage roller camshaft. 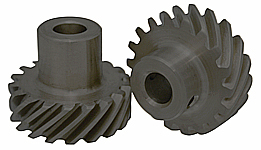 To make life even easier, we now have a coated iron intermediate gear for use with billet camshafts for street applications. The Hemi life just keeps getting better! * Petroleum oil provides the highest levels of zinc and phosphorus for flat-tappet engines. * Additive package promotes ring seal and provides maximum protection available for cams and lifters during initial break-in. * Requires no additional additives. * Good for full power pulls on the dyno, one night of racing or up to 400 miles on the street. * Provides maximum compression and generates maximum horsepower. * Compatible with methanol and high-octane race fuels. * Combined with Joe Gibbs Driven Engine Assembly Grease, BR provides the highest levels of protection for camshafts, lifters, wrist pins, distributor gears, push rods and valve retainers. * BR is fully formulated and requires no EOS or other additives. * BR should be pre-heated to 180F before firing the engine for maximum protection. * Because it is a 15W-50, BR can be used for up to 2 hours of break-in/dyno time before changing to race oil.